There’s a brand new Nickelodeon show that we all are super excited for and you guessed it, it’s the magical series, Knight Squad. There are an endless amount of reasons as to why we can’t wait for this brilliant show to air on our TV screens and one of the reasons being because it brings out so much awesome girl power. Beauties Savannah May and Lexi DiBenedetto star as Buttercup and Prudence, respectively, in the show. We know that these magnificent, young ladies will do such an exceptional job at bringing their characters to life and joining us all along with them as they train to become terrific knights. Savannah May and Lexi DiBenedetto are two of the most radiant and dazzling, young ladies. They are both so incredibly talented and such gifted actresses and they truly deserve all of their successes. We’ve seen the amazing Savannah May in other projects including in Nickelodeon’s School of Rock and in Disney Channel’s Bizaardvark. Lexi DiBenedetto has exhibited her talent in projects including Modern Family, Criminal Minds, Grey’s Anatomy, and many others. Savannah May and Lexi DiBenedetto are two, classy and spectacular actresses and fashionistas and we truly adore them so much. These lovely, ray of sunshines can always put the biggest smile on our face. 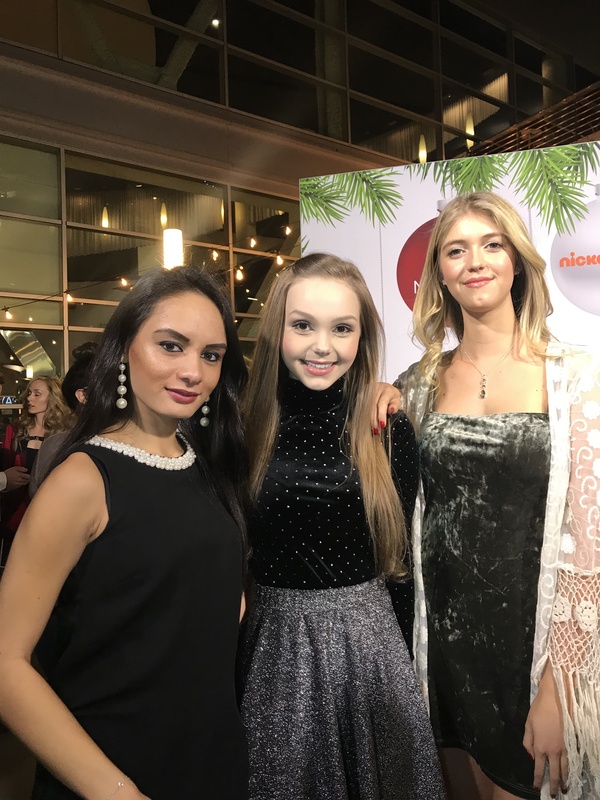 I, Alexisjoyvipaccess had an excellent time covering the premiere of Nickelodeon’s Tiny Christmas and had a fantastic time interviewing the wonderful Lexi DiBenedetto and Savannah May at the event. Savannah May and Lexi DiBenedetto dished exclusively to Alexisjoyvipaccess all about what it has been like for them working on their show, Knight Squad, what are some of their holiday traditions, and so much more only in our VIPAccessEXCLUSIVE interview. Savannah May and Lexi DiBenedetto even revealed where would be their first stop if they were to swap lives for a day with Santa – hear what they had to say in our VIPAccessEXCLUSIVE interview below. Thanks for the super fun interview, Savannah and Lexi! Check out my VIPAccessEXCLUSIVE interview with the marvelous Lexi DiBenedetto and Savannah May at the premiere of Nickelodeon’s Tiny Christmas below! Previous VIPAccessEXCLUSIVE: Jessica Morris Talks About Her New Movie “A Christmas Cruise” Setting Sail And Premiering On 12/16 In Her Interview With Alexisjoyvipaccess!